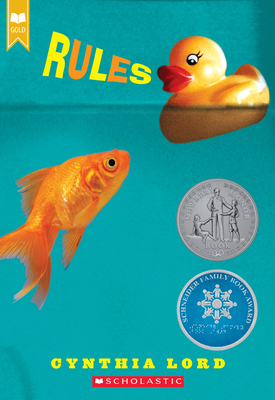 Rules joins the Scholastic Gold line, which features award-winning and beloved novels. Includes exclusive bonus content! Twelve-year-old Catherine just wants a normal life. Which is near impossible when you have a brother with autism and a family that revolves around his disability. She's spent years trying to teach David the rules from "a peach is not a funny-looking apple" to "keep your pants on in public" -- in order to head off David's embarrassing behaviors.